Beautiful 2.5 story East Harriet home built in 1903 with high ceilings & warm sunlight. Inside you'll find a 3-season porch, breakfast nook, mudroom, 3 lrg 2nd floor BR, and a 3rd floor bonus room. Outside features 2-level back deck, 2+ car garage w/ 2nd story & skylights. This solid home was well maintained. Big items updated include AC, windows, sewer line, electrical, garage & driveway. Enjoy living by Lk Harriet, Rose Garden, Uptown, parks & restaurants. Come in & experience it for yourself! Directions: 35W to 46th Street exit. West to Lyndale Avenue S. North to home between 40th and 39th Street W. House is on the west side of the street. I was searching for a Property and found this listing (MLS #5015579). I would like to schedule a showing for 3928 Lyndale Avenue S Minneapolis, MN 55409. Thank you! I was searching for a Property and found this listing (MLS #5015579). Please send me more information regarding 3928 Lyndale Avenue S Minneapolis, MN 55409. Thank you! 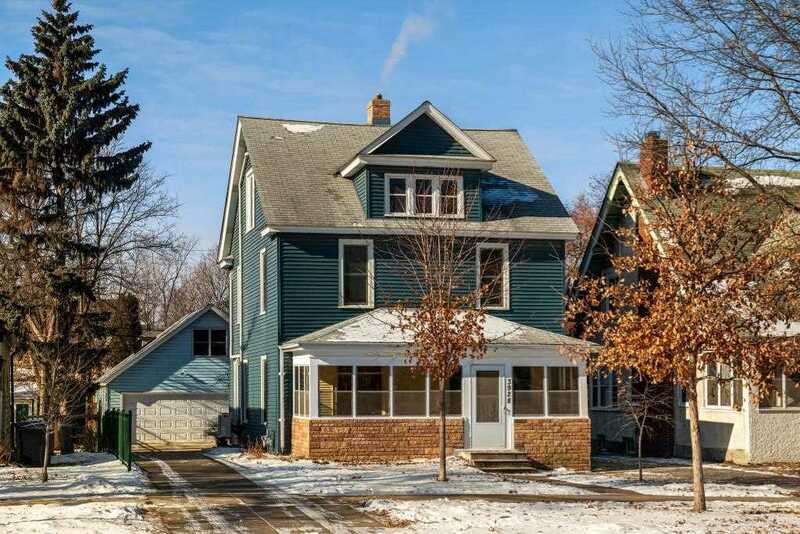 MLS® 5015579: This property at 3928 Lyndale Avenue S, Minneapolis, MN 55409 is located in the East Harriet subdivision and is listed for $369,900. MLS® 5015579 has been on the market for 25 days.